Wishing all of you the happiest, healthiest, merriest Christmas and 2018 – Cheers! I truly appreciate each and every one of you who takes the time to visit, leave a comment, share and support my blog that would be nothing without you. One of my favorite things about my town is the Christmas luminary tradition. 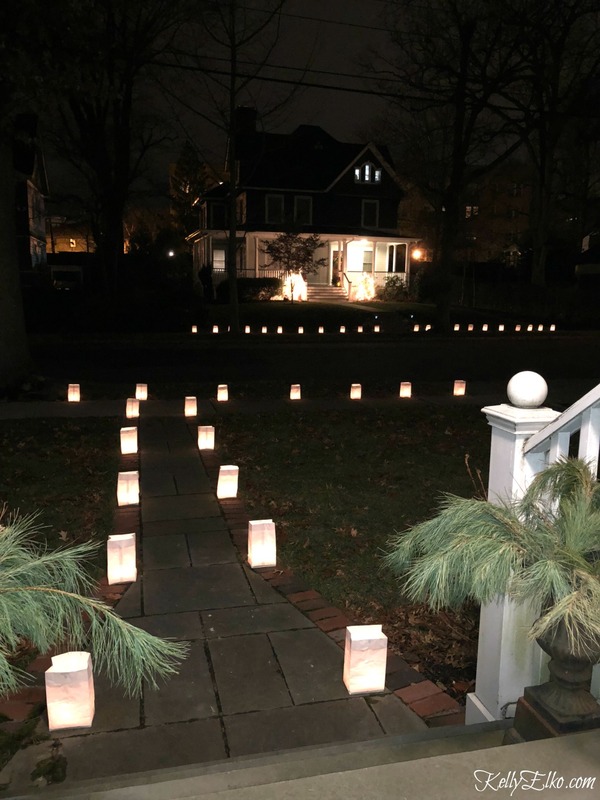 On Christmas eve, people line their sidewalks with luminaries and all of the money raised goes to charity. It is truly a magical thing to behold! I snapped this pic from my front porch. 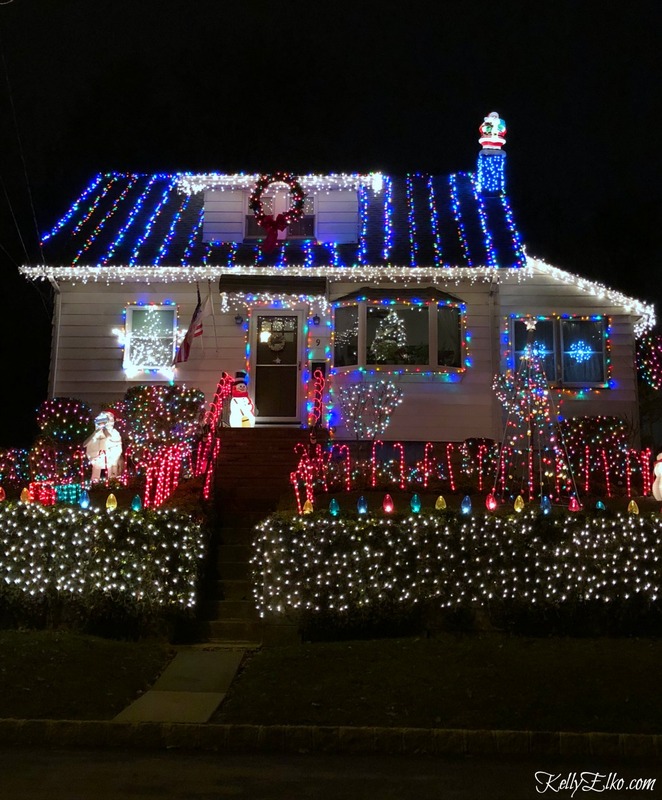 We drove around my neighborhood last night and I screeched to a halt to snap this pic – I love the understated elegance! Hopefully this year, I can tone up my arms (or learn to embrace them in all their jiggly glory). Thanks so much Pat – it’s so rare to get a shot of us all together (not in sweat pants!) Have a very Merry Christmas! Embrace your glory and keep bringing us joy. 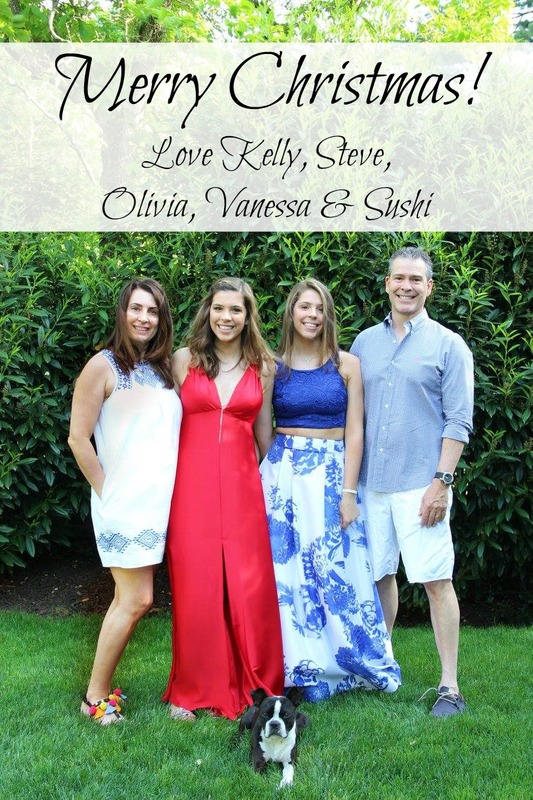 Gorgeous family. Thanks Helen – here’s to embracing who we are! Merry Christmas Kelly! I always look forward to your emails and seeing what you and Sushi are up to. Sushi is up to no good as always!